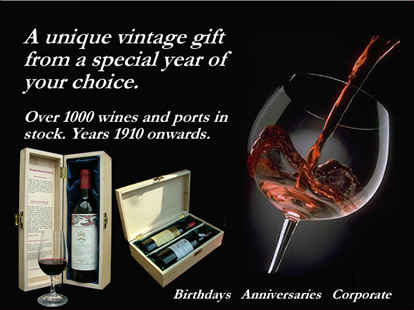 Making the perfect 53 year old wine gifts for anniversaries or birthdays, 1966 is an outstanding Port vintage of exceptional quality that was generally declared. Always overshadowed by the legendary 1963, this year is now recognised as being one of the very best post-war Vintage Ports. The wines are characterised by being long lasting with firm, perfect weight and balance. Most will outlast their 1963 counterparts and turn out greater in the long run. 1966 produced a good vintage for Italian wines from Piedmont and Tuscany. Quality Italian reds such as Barolo and Brunello are still drinking well today. 1966 was a very good wine vintage for Bordeaux. At the time the wines were tannic and had high acidity. Over the past four decades, the tannins have faded to make the wines more drinkable. The best quality wines such as Latour and Palmer are still in their prime even now and will remain so for many years to come. Other Bordeaux wines will remain good to drink. The Tenuta S. Margherita from the 1968 vintage is made from the Cabernet Sauvignon grape. The wine has aged to produce a garnet core with a clear rim.